It looks as though earlier rumours about AMD’s next top-end graphics chip, codenamed RV790, have now looking even more plausible. Let’s start with the name, which now looks like it’s going to be the Radeon HD 4890, as some people predicted last month. 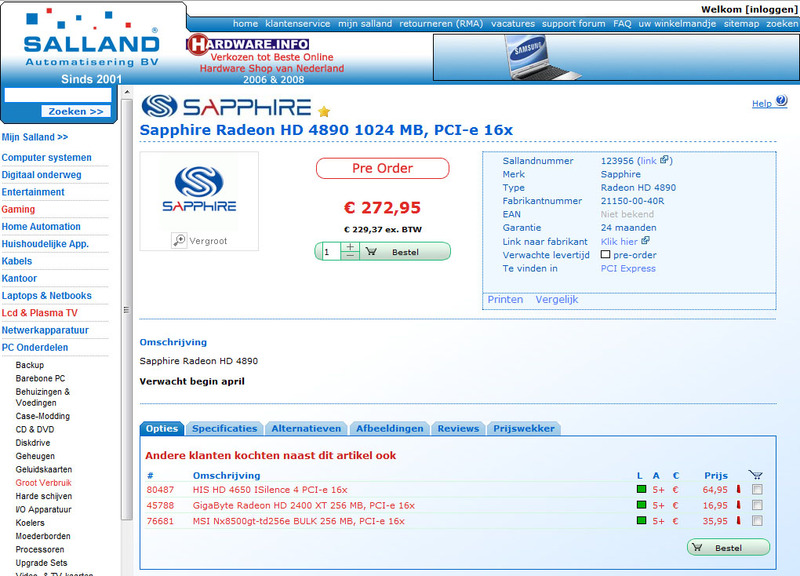 This has been more or less confirmed by the fact that you can pre-order a Sapphire Radeon HD 4890 card from Dutch retailer Salland Automatisering for €272.95, which Fudzilla discovered yesterday. 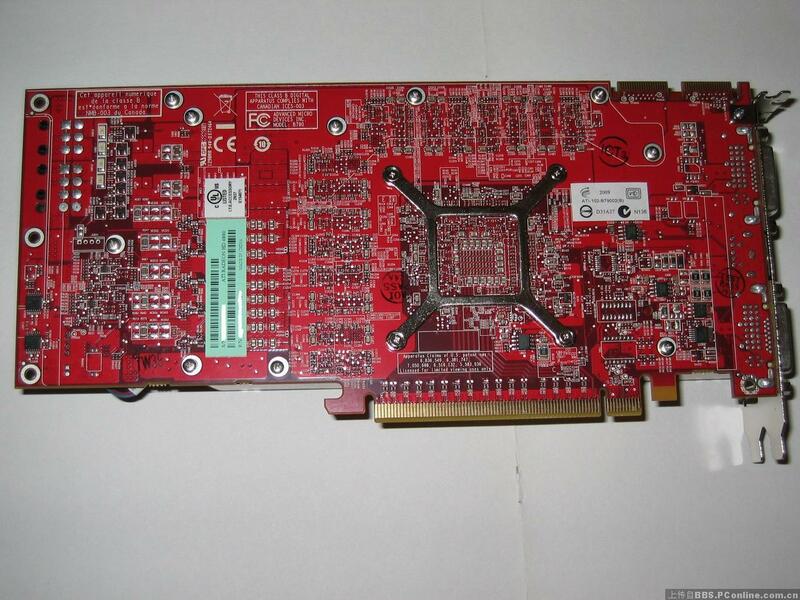 What’s more, a number of photos purported to show the card have popped up on the Chinese PConline forum. 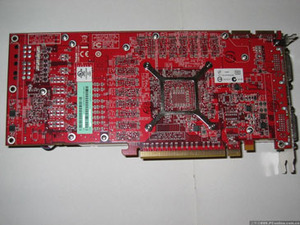 The photos show a very similar PCB and cooler to the current 1GB Radeon HD 4870 reference design, although the back of the PCB notably has solder points for both an eight-pin and a six-pin PCI-E power connector, unlike the pads for two six-pin connectors found on the 4870. However, despite the solder points, the shots of the 4890 show that it still only has two six-pin power connectors. 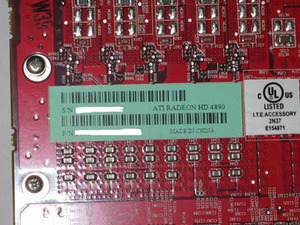 As with the 1GB Radeon HD 4870, the photographed PCB also shows space for eight GDDR memory chips. The use of an almost identical PCB wouldn’t be surprising either. 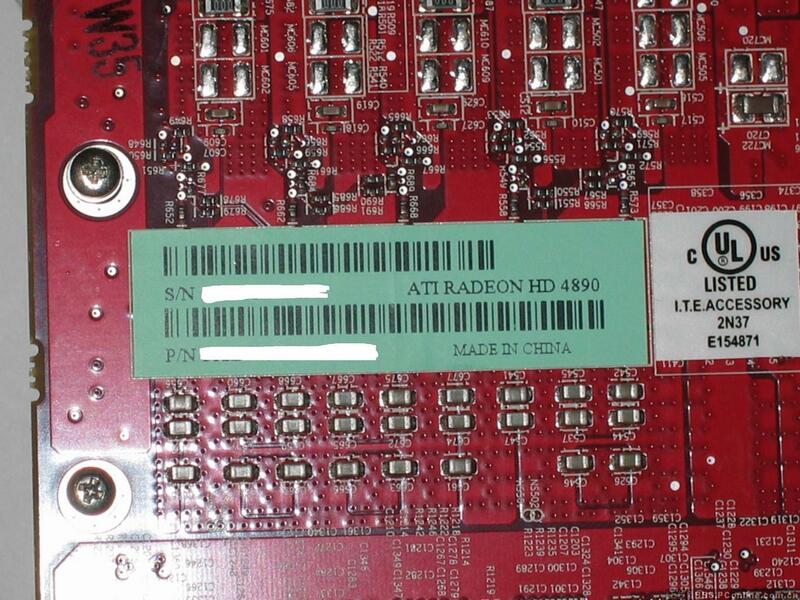 When we first looked at the Radeon HD 4870 we noted that the PCB featured two spare solder pads next to the card’s Vitec 59PR9853 multi-phase inductor, which regulates the voltage of the GPU. This would enable board makers to install a larger VRM could be installed on an existing RV770 PCB to accommodate a new GPU with a higher voltage, and thus higher clock speeds. As well as the photos, the forum also has some shots of the Catalyst Control Center for the Catalyst 9.3 BETA driver used to run the card. The screenshots from the Overdrive panel show that it has a standard GPU clock speed of 850MHz, and a GDDR5 memory clock of 975MHz (3.9GHz effective). 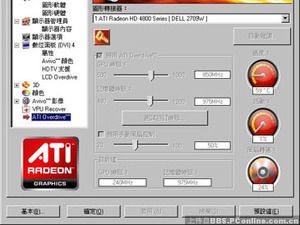 As well as this, the slider for the GPU speed goes all the way to 1GHz, suggesting that the Radeon HD 4890 may be more overclockable than the 4870, which can only be overclocked to 790MHz using Overdrive. Meanwhile, GPU-Z apparently failed to recognise the card properly, but did report the same clock speeds. Of course, all of this is still at the rumour stage at the moment, and the word is that the new ATI cards won’t be officially announced until April. 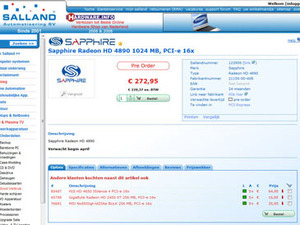 However, with retailers already taking pre-orders, it looks as though the card will very probably be called the Radeon HD 4890, and will feature higher clock speeds than the 4870. Do you think the photos and screenshots are real or fake, and would you be interested in picking up a Radeon HD 4890 if the rumours are true? Let us know your thoughts in the forums. AMD's latest Opteron processor - the 12-core 2.2GHz Magny-Cours - has appeared on eBay ahead of its official release. 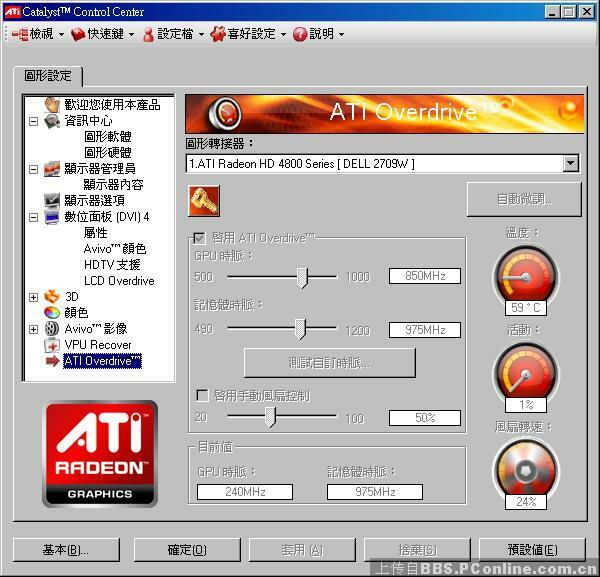 ATI's forthcoming RV790 GPU will reportedly be called the Radeon HD 4890, and could be out in April.